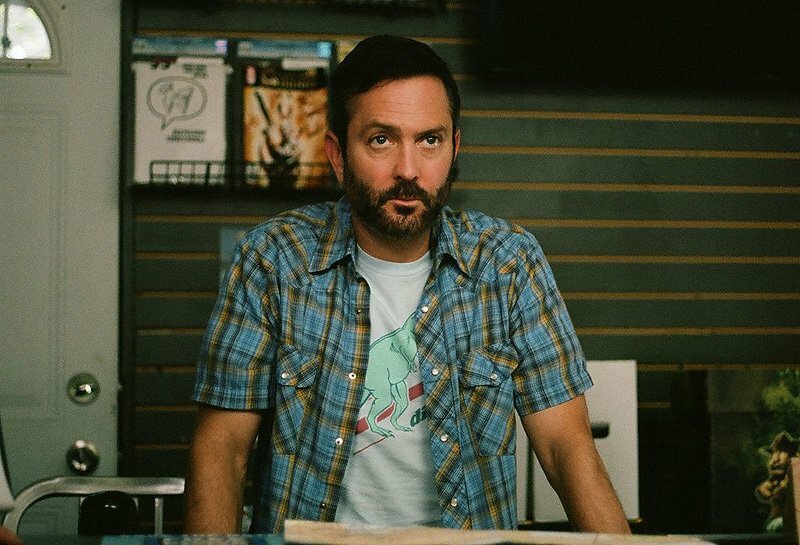 RLJE Films gave ComingSoon.net the chance to chat with actor and screenwriter Thomas Lennon (The Dark Knight Rises, Reno 911!, Santa Clarita Diet) about his starring role in the new horror reboot Puppet Master: The Littlest Reich. Check out the interview below, where we also discuss The Goon, Monster Trucks and some of his favorite horror flicks! The original Puppet Master is an American horror movie franchise that focuses on a group of anthropomorphic puppets, each equipped with their own unique and dangerous device. Produced by Band and his Full Moon Features label, the series was established in 1989 with the eponymous first installment, which has since been followed by numerous sequels, comic books, collector’s items and toys. 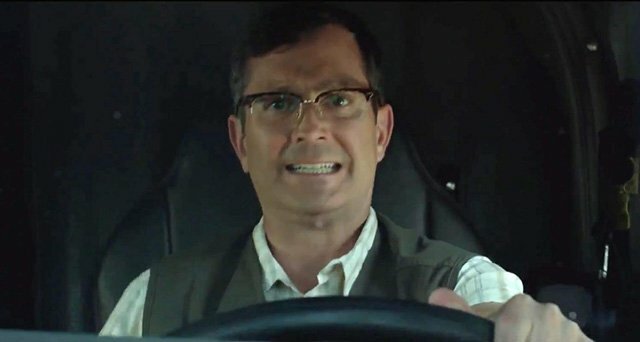 Thomas Lennon: “Monster Trucks”! I wonder if I got a Razzie for that. How do you find out if you Razzie? Do you just Google your name and then Razzie Awards right? CS: Yeah, I’m on iMDB and… nope, you did not get a Razzie for that. CS: I mean, as someone who is actually quoted on the back of the “Monster Trucks” Blu-ray, I thought it was kind of fun. Lennon: It’s an amazing punch line to any sentence. Just say “Monster Trucks” and it’ll be funny. But the weird thing about it is, the movie is actually very charming. For my son, who was at the time like eight, it was just hilarious. CS: Sure, its like one of those Disney movies from the 70’s, like “Herbie the Love Bug” or something like that. CS: Amazing. So, on to “Puppet Master.” Were you a Full Moon fan? Were you a fan of the franchise? Lennon: I did not really see a “Puppet Master” movie until after I had read the script of this new “Puppet Master” film. I saw it had William Hickey, I said, “Oh, this is right up my alley.” I love little things killing people, and more than anything I love human adults being forced to very seriously and sincerely interact with tiny little Reichs. As if it’s like, really life or death. I just love that. CS: It’s cool because this bigger budget reboot could’ve very easily switched over to CGI puppets, and making them do all sorts of crazy things, but nope. You guys stuck to the formula of what fans have loved about this series for decades. Lennon: I don’t want to give too much away, but in every single scene of “Puppet Master,” somebody’s hand is just out of frame. That was the secret to every single thing that happens. Unless the puppet is directly on top of my throat, in which case it’s just me wrestling against it. CS: In the movie you play a comic book artist, and a comic book shop worker. I assume this was a character pretty close to the real Tom? Lennon: The Goon is everywhere, yeah. My friend Eric Powell, he does “The Goon,” which is my personal favorite comic. I own all of them, I own some of, I own several originals of his, too. It’s really the only comic book I really collect, but it was very nice that he gave us a lot of… I think I’m wearing a Goon tee shirt for about half the movie. CS: You are, yeah. I definitely noticed that because I’m a big fan of the Goon too, and you actually wrote a Goon story as well, right? Lennon: I did, yeah. I wrote a Goon short story and I wrote one of the Dwight T. Albatross’s Goon Noir books called “Lucky Pierre”. 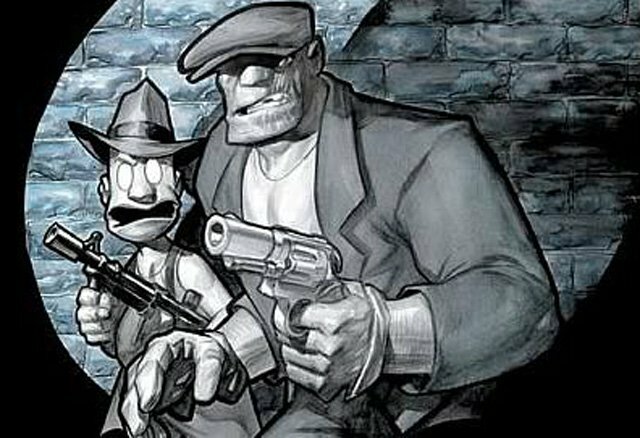 CS: I know that Tim Miller’s been developing a movie of “The Goon” for a long time, is there any talk of you being involved in that if that ever gets off the ground? Lennon: I actually don’t know where that stands, you’d have to ask Eric and those guys. But I do know that they were working on it, and I know at one point they were doing some scratch demos and … one of my great friends Patton Oswalt and I both got to do some voices for the demos that they were making, but I don’t know where that stands. I hope it’s happening, because it would be amazing. CS: You did the “Hell Baby” movie from a few years ago, and I know you’re a big fan of horror movies. Usually when I talk to actors about horror movies they typically bring up “The Exorcist,” “Rosemary’s Baby,” “Alien,” “The Shining”… the usual, usual. Do you have like some favorite deep dive horror movies? Like really obscure, weird movies? Lennon: Oh yeah, for sure. Probably not that obscure, but I’ve got some stuff that like I love that isn’t in the top, the instant list. 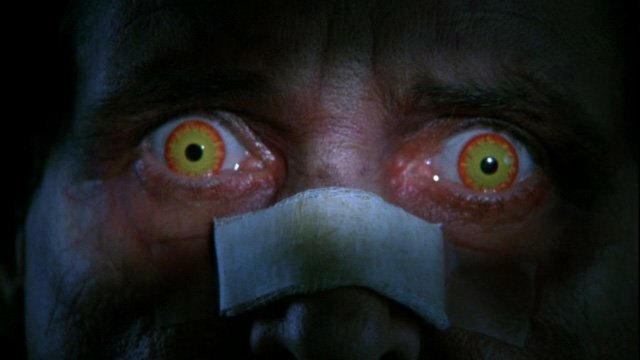 For me, “Exorcist III” is one of the scariest movies of all time. CS: Oh yeah, that hallway shot with the scissors. Lennon: Oh my god, not only that, there’s a little statue guy, there’s so many things that happen in that movie that are hard to recover from. I watched one last night that’s kind of a forgotten classic, but right on Hulu, you can watch it any night, which is, if you haven’t watched Christopher Walken in “The Dead Zone” lately you have to. He is so amazing in it, it puts it in certainly the top four movies of Stephen King books. CS: Yeah, the only thing that dates “The Dead Zone” now is if Donald Trump used a baby as a human shield it probably wouldn’t affect his approval ratings. Lennon: (laughs) You’re probably right. And then I’ve always been a sucker for “Don’t Look Now,” which is such a creepy movie. There was a period where I was going to Kim’s Video in New York and we just watched everything. CS: Oh Kim’s, how I miss her. Lennon: Yeah. Kim’s Video. It was a great venue for everything. CS: There were so many weirdo European import things that you could only find there. Lennon: Right? But there was also a lot of movies that then got re-made, you know, American versions of like “The Disappearance.” I think they re-made “Let The Right One In.” You know, if I’m left to my own devices, I’d much rather watch horror than anything else you’d have for me. 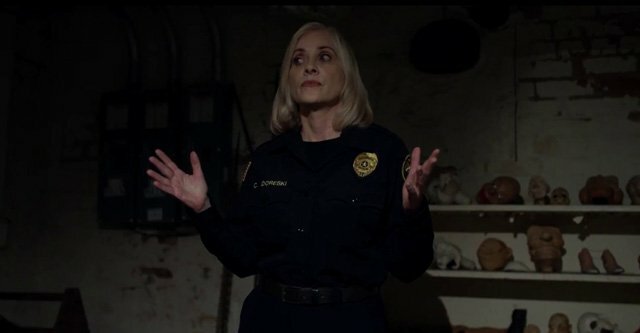 CS: Yeah, there was an interesting correlation between I think horror and comedy, because a lot of famous comedians like Patton or Dana Gould or Jonah Ray, they’re all just obsessed with horror movies. Lennon: I think it’s basically the same feeling, which is tension, tension, tension, scream, more tension, tension, tension, laugh. So it’s really, it’s just a marginal you know, it’s semantics, really. And “Puppet Master” does a nice job. Like, “Puppet Master” is, for me, if you had the sound down I don’t know if you’d think anyone was ever kidding in that movie. Other than that the assailants are tiny. CS: Well yeah! And I mean, that’s part of what made, I think, this re-make fun, is that it has some laughs but they’re more to break the tension. It’s not a parody, it’s not a spoof. Lennon: It’s sure not a “hardy har-har” movie in any way. Yeah. If anything, it’s sort of a wry smile movie, but that’s honestly my favorite thing about it, having now seen the movie several times, it’s just … only the people in this movie take themselves really seriously. But you know, you must. If you’re in a Puppet Master movie and you’re not taking yourself very seriously, I don’t know what you’re doing. CS: Exactly, and you had at least a couple of real legends in this movie. Barbara Crampton, of all the Stuart Gordon movies. Lennon: Barbara’s amazing, she’s just like one of those great actors who comes in and you never have to guess like are they gonna be amazing? And just be perfect in every moment, and she is. Paré? CS: Yeah, Michael Paré, that was the other one I was gonna bring up. Lennon: Yeah, he’s so convincingly a Michael Paré type that it was kind of hard for me to tell if he was mad at people in the scene… he seems like he’s mad at you. But he probably isn’t. He’s a lovely guy, but he does sometimes seem mad. And then of course, Udo, who’s one of the most fascinating figures in the 20th century. Or whatever century this is. But yeah, Udo, I actually, I had no scenes with Udo but I did spend some time with him because he’s, he never stops being Udo Kier. 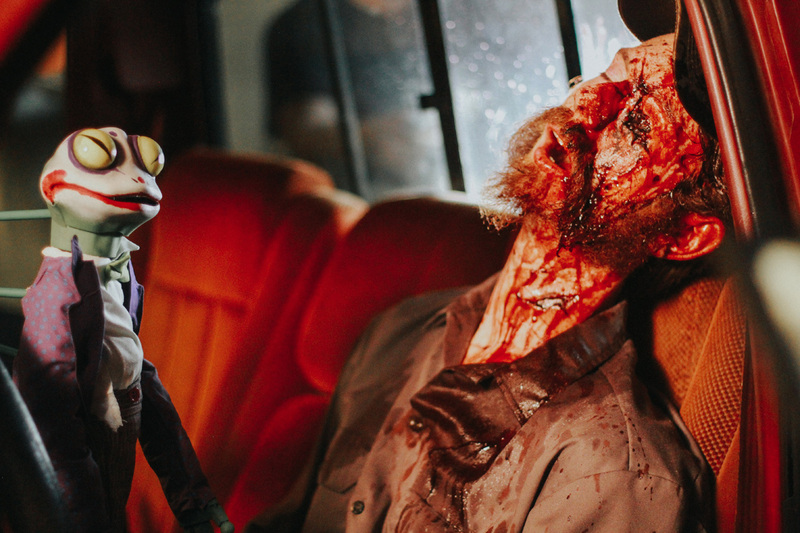 The post CS Interview: Thomas Lennon Talks Puppet Master: The Littlest Reich appeared first on ComingSoon.net.